war – It's Time to Read! 1937: Eugene Knox, a young American doctor, catches sight of 19-year-old Kitty Travers on the day she arrives in Paris, and cannot get her out of his mind. She has come to study the piano at the famed Conservatoire, and lodges at a convent near Notre Dame. Eugene and Kitty will fall in love, marry and have a daughter, but France’s humiliating defeat by Germany is not far behind, and the little family must suffer life under Nazi occupation. Some Parisians keep their heads down and survive, others collaborate with the enemy while others resist. The different actions of Eugene, Kitty and their friends will have devastating consequences that echo down the generations. I received this book from Netgalley to write an honest review – thank you so much for letting me read this novel, Rachel Hore is one of my favourite authors! 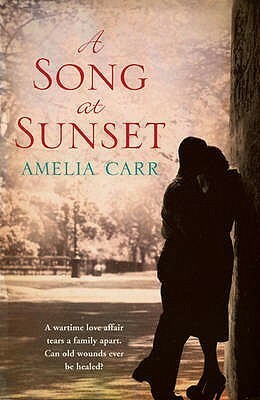 This book is set in Paris during two very different times – the Second World War, and the early 1960s. We discover the truth about Kitty, her time in Paris and the life she hid from her daughter Fay. Both women fall in love with the city, and both fall in love whilst they are visiting. Kitty makes her life there with Eugene and they have Fay there. However, war breaks out and Paris becomes occupied. It isn’t safe for long there and this story follows the hard decisions Kitty has to make to protect her family – and then the decision to keep the truth from Fay. Fay, visiting Paris as part of an orchestra is struck by how much of the city she remembers, even though she is sure she has never been there. This week-long visit will be extremely life changing for her. I really enjoy Hore’s novels. I am yet to find out I don’t like! And it is the same with this book. I found the first few chapters a bit slow, but once I was further into the story I was captivated. I read large chunks in one go. This isn’t a fast read, but it is really enjoyable. I love historical books, and ones that jump around generations – like this one does. We weren’t always reading about the war, we were regularly transported to the ’60s, were we watched life for Fay change during her short time in Paris. The story kept me hooked. I found I needed to know what happened – what was going to happen to Kitty and Fay?! As I read, I kept changing my mind about Kitty – during the war I liked her, but I didn’t really like her in the ’60s! I didn’t like how she hid this story and her opinion on Sister Theresa. I did like Fay. She was forgiving and kind – she cared about what she saw around her and I liked that. I’m still undecided about my opinion of Eugene. He was a man consumed by work and then by his secret role in the war, it didn’t seem like he put his family first. This is quite an emotional book. I have a toddler, who is the same age as Fay was during the war, and I kept thinking how awful and hard it must have been to keep family safe. I don’t want to give away the story, but I found my heart breaking in places at the thought of what went on. There is a lot of historical content in this book. Paris’ role under German leadership is explained well. Eugene was American, and it was shown how for some of the war he was safe because America had yet to join in the fighting. The threat of death, the aerial bombings and the town of Vittel were all mentioned and explained. Hore seems to have taken the time to make this accurate and show the readers just what life was like in both the war and in the early ’60s. I really enjoyed this book. I did find the beginning slow, and I thought the end was a bit rushed too. I do have some unanswered questions, however, this was a great read. I was drawn in, caught by the story, moved by the characters and events, and find myself still thinking about the book now. Rachel Hore has written another fabulous book. I cannot wait for her next novel! I rate this book 4 out of 5 – this is a must read book! 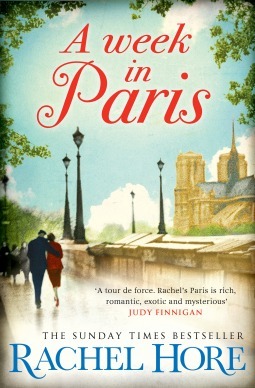 Book 44 was a Netgalley review book – A Week in Paris by Rachel Hore. 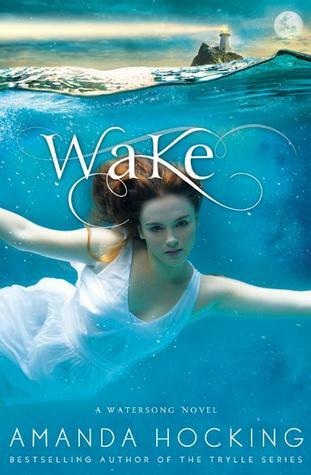 I love Hore, she is one of my favourite authors, so I was very excited to be reviewing this book! I really enjoyed this book. I found the beginning of the book a little slow but once I got past the first few chapters I was hooked. I did not want to put this book down! We follow life in wartime Paris – the horrors everyone had to face and the bravery shown by many. This is such a good book! 2014 will mark one hundred years since the outbreak of the First World War. To mark the date, this beautiful anthology will collect favourite extracts, images and poems from some of the UK’s leading cultural, political and literary figures. Poems, short stories, personal letters, newspaper articles, scripts, photographs and paintings are just some of the elements of this astonishing collection, with cover and artwork by renowned illustrator, Ian Beck. Among the many contributors are: Her Royal Highness the Duchess of Cornwall, Sir Andrew Motion, Miranda Hart, Jacqueline Wilson, Anthony Horowitz, Eoin Colfer, Antony Beevor, Emma Thompson, David Almond, Dr Rowan Williams, Richard Curtis, Joanna Lumley, Raymond Briggs, Shami Chakrabarti and Sir Tony Robinson. I received this book from Netgalley to provide an honest review. When I saw this book was available on Netgalley, I was excited and desperately wanted to read it. I have really enjoyed Michael Morpurgo books, and I love history books, so to put the two together did excite me! 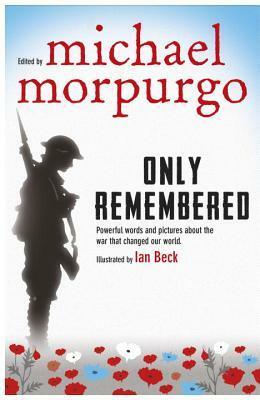 However, this book is not actually written by Morpurgo, it is edited by him, but it is a great read. This book is aimed at children and it looks back at World War One. This is a collection of poems, stories, memories and pictures from the Great War. They are incidents and people who have influenced well known celebrities today. It is an intimate view of what was an awful time. I thought this book was put together so well. It is engaging and honest, yet it wasn’t scary or horrific, as it could well have been. The book is sensitively produced and I think children will gain so much from it. I couldn’t put it down, I was drawn in to these stories, these moments in one person’s life. My only complaint about this book is that it isn’t long enough! I know this is for children so needs to be short, but I think a longer novel for adults should be released too! This is a great read and an excellent glance into history. I am rating it 4 out of 5 because it is well edited, engaging, and a sensitive and different view of the Great War. I like Michael Morpurgo and I like history, so when I saw the two combined, I was quite excited. However, this book isn’t written by Morpurgo, it is edited by him. This is a collection of memories and reflections from celebrities on World War One, as the Great War began 100 years ago. I did really enjoy this read. It was a fascinating look back at the war, and well worth reading. Massachusetts, 1973: Grace’s daughter Trixie Valentine is in love with an unsuitable boy. He’s wild and romantic, and in a band that might be going somewhere. But when tragedy strikes and he has to go home to England, he promises to come back to Trixie one day, if only she will wait for him. 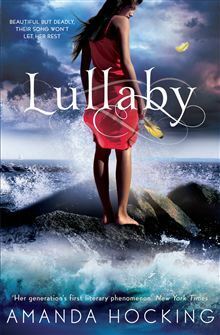 I received this book from Netgalley and Simon and Schuster UK Fiction to post an honest review. I loved this book! I had been jumping between books, trying to find one that kept my attention, and this is the book. I found the beginning of the book, where we focus on Trixie and her new-found love, Jasper, a bit slow, but as soon as we jumped back to 1932 I was hooked and didn’t want to put the book down. I have never read a novel by Santa Montefiore before, but I will certainly be looking out for more books by her. This story is set in three time periods – the 1930s, the 1970s and the 1990s. I really enjoy a book which moves around in time and focuses on more than one character – and this is just that sort of book. 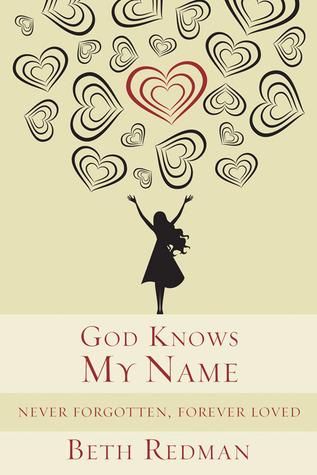 The focus of the book is on a mother and daughter – Grace and Trixie, and the way love can join them in a story neither of them would have imagined. I just loved the way this book was written. There were characters I liked, and one’s I didn’t, I loved the locations and I loved the history. This is a great story. Grace grows up in a small community as the bee keeper’s daughter. She knows her destiny, and is happy with it. But she falls in love with two men, one far out of her reach and social standing – but war changes everything. After the war, she relocates to America with her husband Freddie, with no explanation. They have Trixie and but life isn’t as happy as it could be. Trixie is a rebellious girl, who likes to fall in love and break the rules. She falls for Jasper, a young English musician, but when he has to return to Britain, her heart is broken. Neither Grace nor Trixie truly recover from their heart break, but it isn’t until much later that they realise how entwined their stories are. I liked Grace, but I didn’t really like Trixie. Grace was gentle, caring and kind. She loved her father and worked hard. Trixie was headstrong and I found her a bit disrespectful towards her parents. They both made decisions and choices I wasn’t sure about, but that didn’t spoil the book for me. I like it when I can think about decisions, even disagree (I even like disliking characters! ), I feel it enhances the book if it doesn’t go the way I expect/would have written it. 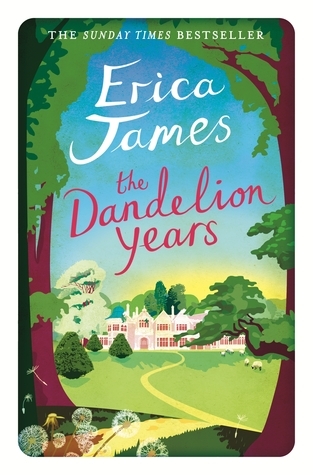 There is a lot in this book – love, family, friendship, bee keeping and war, but this is essentially chick-lit at it’s best. I am rating this 4 out of 5 as there were some scenes I found crude and unnecessary but I did enjoy this book so much. As I have said, I didn’t want to put this book down. There were some surprises, some things which made me chuckle, and just a really great story. 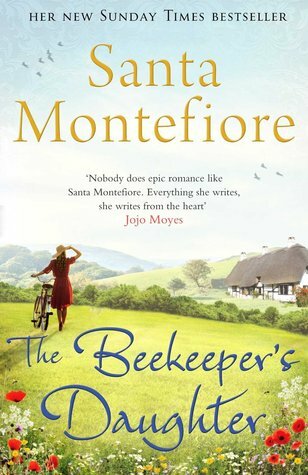 Book 31 was Santa Montefiore’s The Bee Keeper’s Daughter, which I received from Netgalley. I really enjoyed this book! 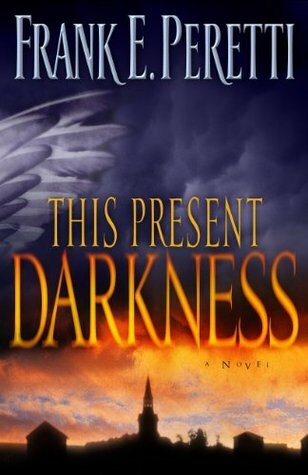 I thought the beginning was a little slow but once the story took off, I couldn’t put the book down. There were some surprises, some story lines which didn’t come as a shock and some decisions I didn’t agree with, yet I was hooked. I preferred Grace’s story to Trixie’s but I liked how they were linked and I enjoyed moving around in time. 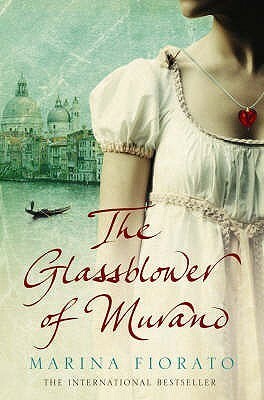 This was a really enjoyable book and I hope to read more by Montefiore. This is the first book by Michael Morpurgo that I have read. Ladies I work with have seen this at the theatre and loved it, and I thought before I watch the film I will read the book. I have to say, I don’t like horses – they scare me a little bit – but I did enjoy this book, despite that. The story is narrated by the horse, Joey – which I wasn’t expecting. He tells the reader of his experience at the farm where he is raised by Albert, his experience in France during the war and of the friendships he makes along the way. He sees some awful things in France, a fair amount of death and hurt, but what shines through this book is love – he has people care for him and he develops lovely friendships with many people in the book. He has Albert, the boy who raised him and trained him on the farm; Topthorne, a fellow horse in war with him and Emilie, a little French girl who looks after both him and Topthorne whilst they are camped at her grandfather’s farm. Friendship is the key factor in this book, and it can clearly be seen throughout the book. This book does have death and hurt in it, and the effect and reason of war is considered by soldiers and civilians alike. I know this book is read in school and I think the chance to look at war and consider the effects of it is important. There were some aspects of the books that amused me. I did chuckle about the fact that not only Joey understood English, he also understood German! What a clever horse! Just the fact the story was narrated by the horse entertained me as well! There were some parts of the story that I didn’t believe. The fact Joey turns up in no-mans land and a German and a Welshman walk out to resolve who will take him I struggled to believe; and Albert finding Joey in France during the war also seemed unrealistic – however, both did make for good reading. This was an enjoyable and quick read. This is a lovely story of friendship, which a hint of adventure. I’m looking forward to seeing what this is like as film. This book is well worth reading. The good outweighs the bad and I recommend this book.